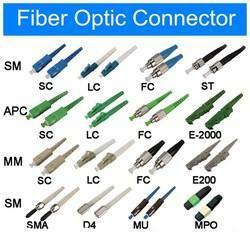 We at, V Tech Communications are engaged in wholesaling and trading Fiber Optic Active-Passive Components. We have organized an extremely skilled quality control team to deliver flaw-less products to our clients. 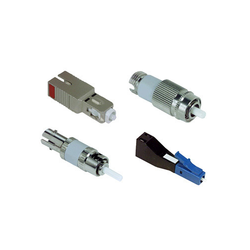 We offer a wide range of active/passive components and constituents of fiber optic networks. V Tech offers complete IC solutions and complete Optical Modules in Gigabit Ethernet, SONET/SDH, and 1/2/4Gbps Fibre Channel interfaces. Standard specification is for 24 cores. When order joint box, the core no. 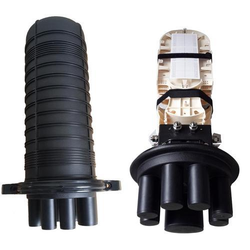 of cable, outer diameter of cable and ports needed to be provided. 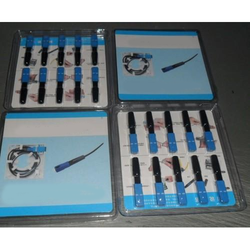 We are one of the widely acclaimed manufacturers, traders, exporters and suppliers of Fiber Optic Splice Closure. 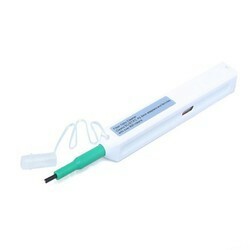 The offered fiber optic splice closure is commonly used for joining optical fiber cables. 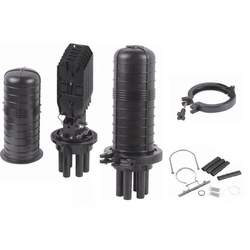 Our supplied fiber optic splice closure is highly acclaimed and appreciated by the clients, due to the compatibility with both the armored and unarmored optical fiber cables. 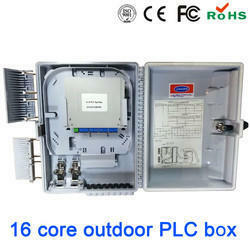 Fiber Optical Splice Closure Box we supplied are corruption-resistant,airleakage-resistant. 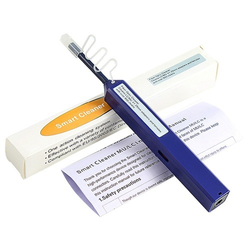 Clean the end of the fiber optic connector ferrule (female) plugged into the adapter, or directly clean the end of the fiber optic connector ferrule (male) on the connector plug with the supplied accessories. 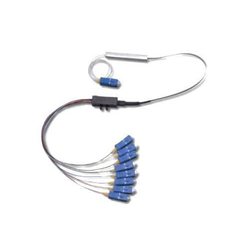 Sometimes in the fiber optic network, people may need to reduce or balance the power of the light transmitted from one device to another device, Fiber Optic Attenuators are used in such cases, they are able to control the output of the fiber light power level. 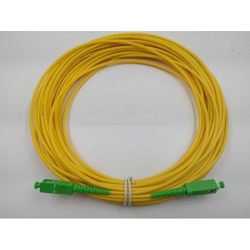 Fiber optic attenuator are used for reducing the power of the light in the fiber optic network. It works for 2,3,7,15,20 dB & 30 dB. The Planar Light Wave Circuit (PLC) Splitter is a type of optical power management device that is fabricated using silica optical waveguide technology to distribute optical signals from Central Office (CO) to multiple premise locations. 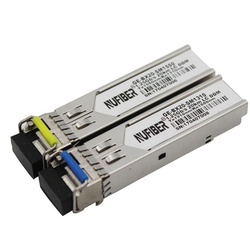 It features small size, high reliability, wide operating wavelength range and good channelto- channel uniformity, and is widely used in PON networks to realize optical signal power splitting as a low cost solutions. Link cent provides the whole series of 1xN and 2xN splitter products that are tailored for specific applications. 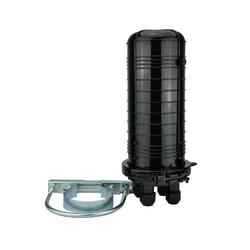 All products meet GR-1209-CORE and GR-1221-CORE requirements. 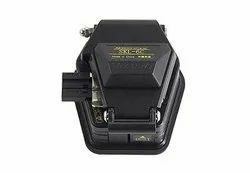 We are offering Fiber Splice on Connector to our clients. Looking for Fiber Optic Active-Passive Components ?